3 Beds 3 / 0 Baths 2,176 Sq. ft. 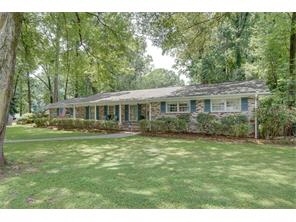 Description: Beautiful Sprawling Brick Ranch on large level lot. Great floor plan with plenty of natural sunlight. Wonderful Renovations/Upgrades include granite,with glass tile backsplash Spacious fireside family room with built-ins leading to back patio. Large formal living room. Beautiful refinished hardwood flooring. Large laundry & mud room with full bath. Private backyard that is fenced,a great space for entertaining Basement recently finished with cedar paneling and includes office area, tv/family area and space for storage.